Critics are crying sticker shock as proposed 2016 Obamacare rates are filed. But will insurance premiums really soar, or will regulators push prices back down? Over the past year, most of the news regarding the health-care law has been positive. 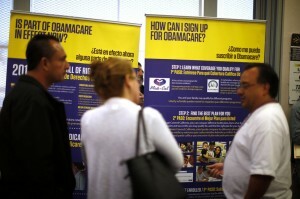 But health-care law critic Megan McArdle points to some potential bad news. “So the proposed 2016 Obamacare rates have been filed in many states, and in many states, the numbers are eye-popping. Market leaders are requesting double-digit increases in a lot of places… The reason? They say that with a full year of claims data under their belt for the first time since Obamacare went into effect, they’re finding the insurance pool was considerably older and sicker than expected.” McArdle admits that these aren’t the FINAL rates. “[T]he proposed rates will not end up being the final rate. Regulators are going to push back on these rates as hard as they can, with some success.” And these are just for the biggest insurers. “Smaller insurers may price lower in an attempt to grow their business.” Still, this is something to watch.